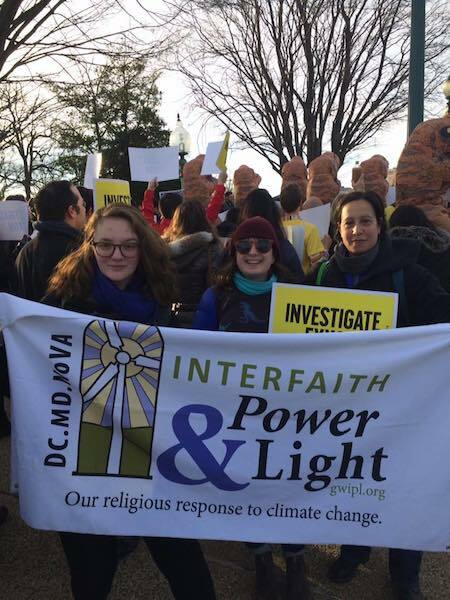 On Sunday, April 22nd, at 11:00 a.m., the Environment Working Group (EWG) of the Interfaith Families Project of Greater Washington (IFFP) is honored to host Joelle Novey and Laura Long, of Interfaith Power & Light (DC.MD.NoVA) (http://ipldmv.org), at its adult education meeting. The theme of the meeting is how faith communities in our region are responding to climate change as religious communities. Joelle, who attends Minyan Segulah and Tikkun Leil Shabbat, and Laura, who attends Silver Spring United Methodist Church, will share how their Jewish and Christian traditions, respectively, inform and inspire their environmental work. Regardless of faith, all are welcome to join the community for this important and meaningful discussion. Invite your family and friends.